Jewish Home MK says government needs to keep commitment, vote to annex Maaleh Adumim. 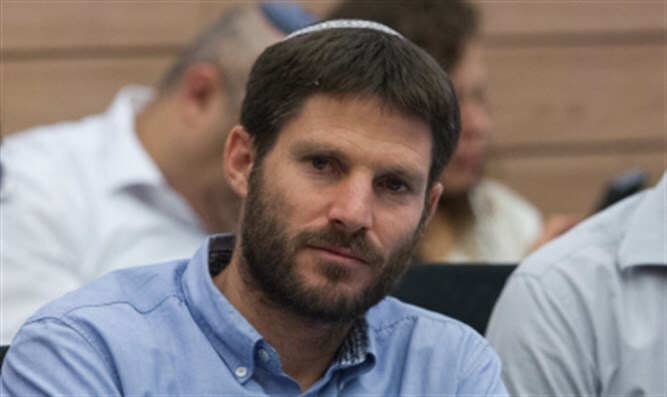 MK Bezalel Smotrich (Jewish Home) called on Israeli Prime Minister Binyamin Netanyahu and the Israeli government to pass on Sunday a law applying Israeli sovereignty to Maaleh Adumim. "We call on the Prime Minister and the government ministers to stand behind their commitment," Smotrich said on Saturday night. "We call on the Ministerial Committee for Legislation to vote on this law tomorrow, even if it will only be brought before the full Knesset after the spring break. "When there are people trying to drag the government into insane arguments, we must act reliably and show leadership. We must bring back the Zionist and nationalist dream. We must show the Israeli public that we are busy with things which are truly important, and not wasting time on populist power struggles." The Maaleh Adumim bill, which was proposed by Smotrich, would extend Israeli sovereignty over Maaleh Adumim, as well as the crucial E1 area between Jerusalem and Maaleh Adumim. E1 is within the municipal boundaries of Maaleh Adumim. Coalition Chairman David Bitan (Likud) reqeusted to delay the vote by three months because of US President Donald Trump's envoy Jason Greenblatt's visit to the region. However, Jewish Home Chairman Naftali Bennett agreed to postpone the vote only until Sunday.